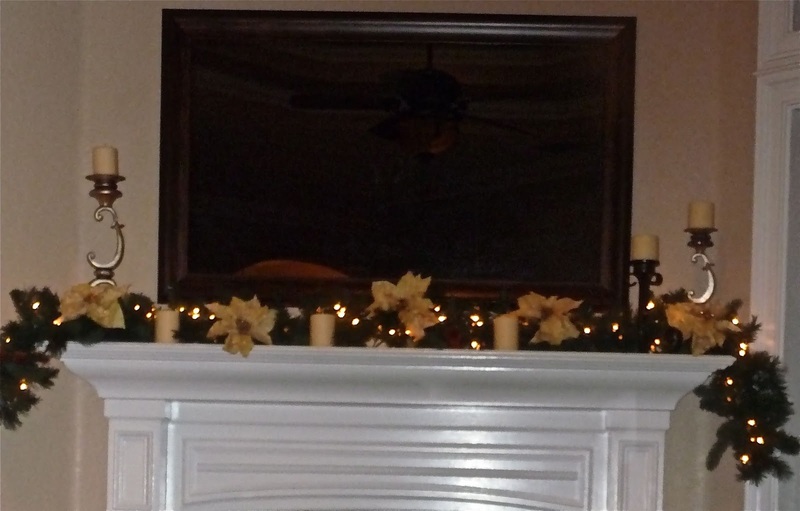 ReDesign Concepts Blog: Simply Elegant Holiday Mantel! Creating a special look for the holidays does not have to be complicated. Keeping it simple by using the same colors throughout gives a more elegant feel. My client loves magnolias so creamy white magnolias were perfect. Try this quick and easy idea to give your mantel a simply elegant holiday look. Lay a pre-lit garland across the mantel, add a few flowers such as glittered magnolias and a few candles. If you have room on each side of your artwork, mirror or mirrored television in this case, add candlesticks with different heights. When decorating most any space, you want to keep your eye moving by using varying heights and three different candlesticks are the perfect choice. To keep this arrangement simple and elegant, we used the same creamy whites in the flowers and all the candles.